G. L. Rockey produced and directed a variety of television programs and managed TV station programming. While a program manager at KTSP-TV in Phoenix he represented NATPE to Germany. He has a master’s degree from Cleveland State University and taught courses there. 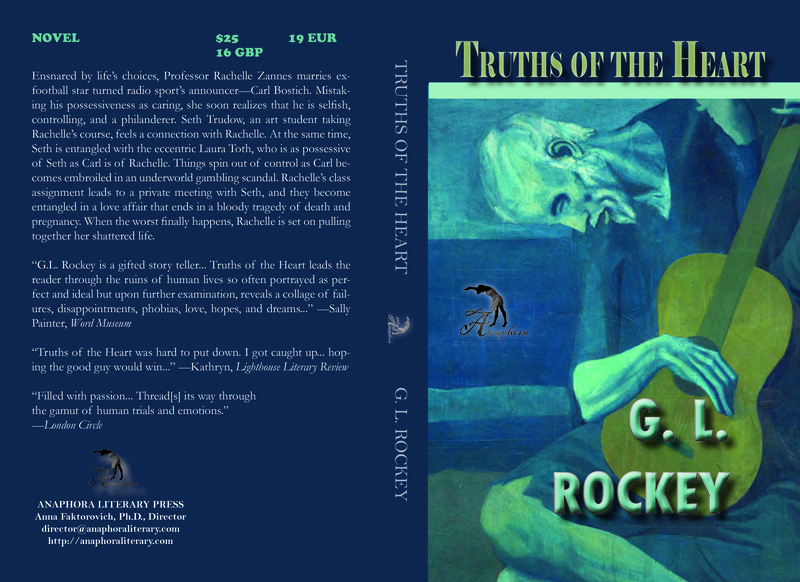 Truths of the Heart is G. L. Rockey’s latest novel. He has written three other acclaimed works of fiction: The Journalist, a five star thriller with a “freightening ring of truth”; Time & Chance, a mystery/suspense set in Nashville; and a collection of sixteen “off-the-wall” short stories, Bats in the Belfry, Bells in the Attic. Also published is a non-fiction book, From the Back of the House: Memoriess of a Steakhouse Clan. Truths of the Heart ($25 – Click to Purchase, ISBN: 978-1460983386, LCCN: 2011903861, 5.06X7.81, 358pp): Ensnared by life’s choices, Professor Rachelle Zannes marries ex-football star turned radio sport’s announcer–Carl Bostich. Initially swept up by Carl’s panache, mistaking his possessiveness as caring, she soon finds him to be selfish, controlling, and a philanderer. Seth Trudow is an art student taking Rachelle’s course. He is attracted to Rachelle and she is to him. At the same time, Seth is entangled with the eccentric Laura Toth, who is as possessive of Seth as Carl is of Rachelle. Things spin out of control as Carl becomes embroiled in an underworld gambling scandal. In the meantime, Rachelle’s class assignment leads to a private meeting with Seth, and they become entangled in a love affair that ends in bloody tragedy and pregnant vows. When the worst finally happens, Rachelle is set on pulling together her shattered life.